My mother is a very very good cook. Being Italian, her speciality is traditional Italian, but she does like to branch out and try new things now and then... at the moment she is obsessed with perfecting an Indian curry she tried while she was holidaying there. She excels at savoury dishes, however she doesn't often make desserts. She never rarely has. And when she does she sticks to things she knows. I on the other hand love making desserts. Often when I was young, I would spend school holidays cooking a number of exotic sweets I had heard about or tried somewhere. By exotic I mean things that Australian children would have found 'normal' but for me were so strange, like Lemon Meringue Pies or Caramel Slices. However recently I have lost my ability to bake desserts. It all started when I moved into our home here in Marrickville. Cakes wouldn't rise or they would come out burnt. 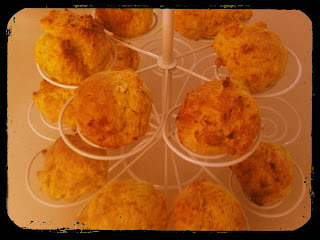 I would make scones and they would turn out hard and brittle like Rock Cakes. I blamed the oven. There was something wrong with the seal on the door and the temperature would be much hotter than the setting indicated. I realised on my husband's birthday one year, when I was making him a chocolate birthday cake that the oven was not entirely to blame. I had spent all morning making the cake and realised while it was in the oven that I had forgot to put sugar in it! Thank goodness I had enough ingredients to start again so I set off making a second one, only to forget to grease the tin. So when the cake came out it was stuck to the tin that it broke when I tried taking it out. We bought a store bought cake for his birthday that year. We have recently bought a new oven and I have slowly started to redeem myself! I have perfected cupcakes. 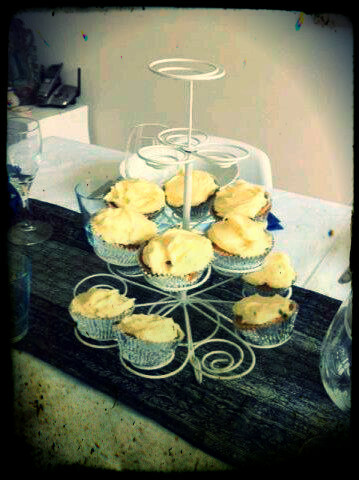 My favourite ones to make are Lemon Diva cupcakes with a Cream Cheese Lemon Frosting. I have also recently made Pumpkin Scones that did not turn out like rock cakes but actually turned out light and fluffy, like scones should. ﻿﻿﻿﻿So the quest to perfect my baking skills continues. I will keep you updated with my progress. Wish me luck!